Muslim Women's Network UK (MWNUK) is a charitable company (company reg. no. 06597997; charity reg. no. 1155092) and is committed to upholding an individual's privacy of personal information. We only collect, process and store information that has been willingly provided. 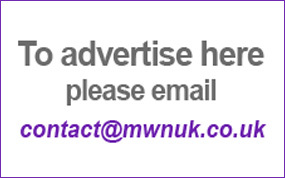 This information is provided to us when you sign up as a member, sign up for our newsletters, make a donation, contact our MWN Helpline either by phone, email, text or webchat, seek assistance from the MWN Hardship fund, seek our counselling services, sign up to our MWN Helpline Dashboard, sign up to our membership portal, attend an MWNUK and/or MWNUK partner event and/or training, or provide it to us in some other way including through any social media platforms. to provide you with the services you have shown interest in. compliance with any and all relevant laws, rules and regulations; satisfying any external auditors or our regulators. An assessment has been carried out and MWNUK are of the belief that our legitimate interests do not materially impact your rights, freedom or interests. MWNUK believe that the best way to achieve our charitable objectives is through highlighting the lived experiences of Muslim women in the UK. To this effect, we may use the information you have willingly provided (whether through the MWN Helpline or by responding to a call for evidence) as an anonymised case study when attending any relevant government meetings or responding to government consultations or holding an event or training session. We assure you that any such case studies will be entirely anonymised and your personal information will not be shared in respect of these particular activities. We are informing you of this to be open and transparent in respect of the different ways in which your data may be processed by us. 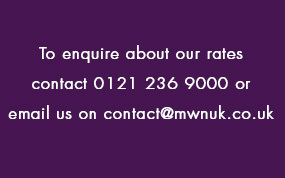 Those who contact our MWN Helpline always have the option of seeking assistance, as far as possible, anonymously. MWNUK will never sell or swap your details. Any information passed to third parties will be done only where necessary, such as to payment processors in respect of any donations or to partners who are managing events. From time to time we may use third party individuals or companies to collect or process personal data. Examples of this include external organisational and Helpline evaluators, external auditors, a company that may securely host our off-site cloud storage servers etc. In such a situation, we only provide the information needed by the third party to perform their specific services and they may only use your data for the exact purposes as specified in our contract with them. We will also ensure that any such third parties understand our expectations and requirements in respect of ensuring your privacy is respected and protected at all times. Please note that there may be times that we are required to share your information with police, regulatory bodies or legal advisors without your permission, in accordance with our breaching confidentiality policy. A copy of this policy can be made available on request. The circumstances in which this policy may need to be exercised include where MWNUK has been ordered to disclose the information by a UK court, where there is reasonable cause to suspect that an adult's life may be in immediate danger, where there is reasonable cause to suspect that a child or young person may be experiencing or at risk of significant harm, or where there is another legal obligation to do so. We only keep your data for as long as is necessary for the purposes for which it was provided. Where possible we keep our records up to date and from time to time may contact you for this purpose. We would be grateful if you could assist us in achieving this aim by updating us whenever your details change. Protecting your data is very important to MWNUK. As such, we will treat your data with the utmost care and take all appropriate steps to protect it. We have clear data protection and information security policies and procedures in place, which are regularly reviewed and updated as required. We protect the data we hold by storing it safely and securely and have measures in place to protect ourselves from any data breaches (such as, data being accessed in an unauthorised way or being lost accidentally). For example, access will only be granted to a person only if it is required as part of their role, will only be given limited access and will have to handle data according to our instructions and will also be subject to a duty of confidentiality. MWNUK staff are provided with regular training to ensure they are skilled in protecting your information. We have measures in place to deal with any unexpected data breaches and if legally required to do so, we will inform you as well as the Information Commissioner's Office. Whilst we will take every step to keep your data safe, as the Internet is not a completely secure communication method, we cannot guarantee the security of any information and are not responsible for any damages, which you, or others, may suffer as a result of the loss of confidentiality of such information. MWNUK is based in the UK. Your data is stored and processed within the European Economic Area (EEA); this includes all EU Member countries as well as Iceland, Liechtenstein and Norway. We will seek your consent if we are required to share your personal data with third parties and/or suppliers outside the EEA. We may use systems such as MailChimp to send you newsletters and updates. MailChimp is based in the United States and therefore some limited information (specifically, your name and email address) may be transferred to MailChimp (in turn meaning, to the United States) for the purposes of using that system only. Please note that MailChimp is a widely used system in the UK and is signed up to the US EU Data Privacy Shield; as such, we consider that there is no material risk associated with transferring this limited information to outside of the EU. Whenever you have given us your consent to use your personal data, you have the right to change your mind at any time and withdraw consent. Please contact us by email at contact@mwnuk.co.uk if you wish to do so. We may need to ask you for further information in order to process your request, and may seek your consent for other matters. For example, if you no longer wish to support a particular campaign, we may include your details on a separate database so that we know not to contact you in respect of any developments relating to that particular campaign. 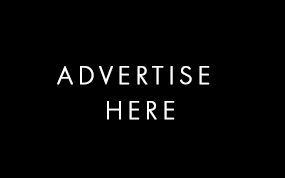 Where we are processing your personal data on the basis to our legitimate interests, you may ask us to stop for reasons connected to your individual situation. We will do so unless we have a legitimate overriding reason to continue processing your personal data and in such a case, we will provide you with an explanation. Please note that if you have signed up to become a member of MWNUK, a specific procedure will need to be followed in accordance with our Articles of Association if you no longer wish to be a member. You have the right to request copies of the personal data we hold about you. You also have the right to request any corrections to your personal data if it is incorrect, incomplete or out of date. You may request for your information to be forwarded to a third party. You may also object to or withdraw your permission for us to process your information, which we will do unless it is necessary for the purposes it has been provided, such as in respect of processing your donation. If you wish to exercise any of these rights, please send a description of your request detailing the information to be accessed and proof of your identity by post to our MWNUK registered office at 54-57 Allison Street, Digbeth, Birmingham, B5 5TH, and addressed to our Executive Director. We cannot accept these requests by email as we must ensure that the relevant information is being provided to the correct person. Please note that we reserve the right to make any further enquiries if we have any concerns over the proof of identity provided or who may be accessing the information. If you are unhappy or have any concerns in respect of the processing of your personal data, please address your complaints to our Executive Director using the following email address: contact@mwnuk.co.uk. This policy will be kept under review and may change from time to time. Where any changes are made to this policy, an up to date version will be published on our website.